Elphinstone Reef is one of the world’s most exciting diving destinations. A few small breakers are the only visible sign that just below the sea’s surface is the summit of a subterranean mountain, rich in colourful corals and fish species, and attracting the interest of hungry barracuda, dolphins and sharks. Two shark species in particular attract divers looking for that unique once-in-a-life-time close encounter with a big sea predator: the scarily curious oceanic white tip and the oddly shaped hammerhead. A beautiful natural pool supposedly formed by a meteor hitting the earth, Marsa Nayzak is an excellent place to spend the day relaxing and swimming. In terms of its striking colors and crystal clear waters, Hankourab is considered by many to be the most beautiful beach in Marsa Alam and maybe Egypt. It has unbelievable contrast of colors and fantastic white sand. Located in the south of Egypt, in the protected area of the National Park of Wadi El Gemal, Hamata, these sights are not a work of fiction but a reality more beautiful than what a writer can describe or a photographer can capture. Qulaan Islands stretch over a bay that is divided into four pieces of land with mangrove trees all around. This setting creates a sustainable eco-system for the wildlife under the sea and the birds that come to feed. You can spend the day on this multi-colored shades-of-blue beach, and enjoy the day with all the sights it has to offer. There, you can have a traditional Egyptian lunch right on the bay, including: fish, meat or chicken along with rice, vegetables, salad, and fruits for dessert. After this fantastic meal, you can enjoy your very own Gabana; the traditional Bedouin coffee, which you can only drink in odd numbers for fear of bad luck. It is typical to the Ababda and Bashareya tribes that live in that area. This is not your typical espresso, but rather a specially prepared coffee with Arabic spices and strong flavour. This trip starts around 1pm. Our operator will pick up you from Tondoba, drive through the desert, stop in a nice valley for tea and snacks and then return. It is around 3 hours or half-day round trip. The Wadi El Gemal Nationa Park (meaning “Valley of the Camels”) is an extensive area of land and coastal water lying to the south of Marsa Alam. It includes many diverse ecological habitats and a rich variety of animal and bird types including several endangered species. 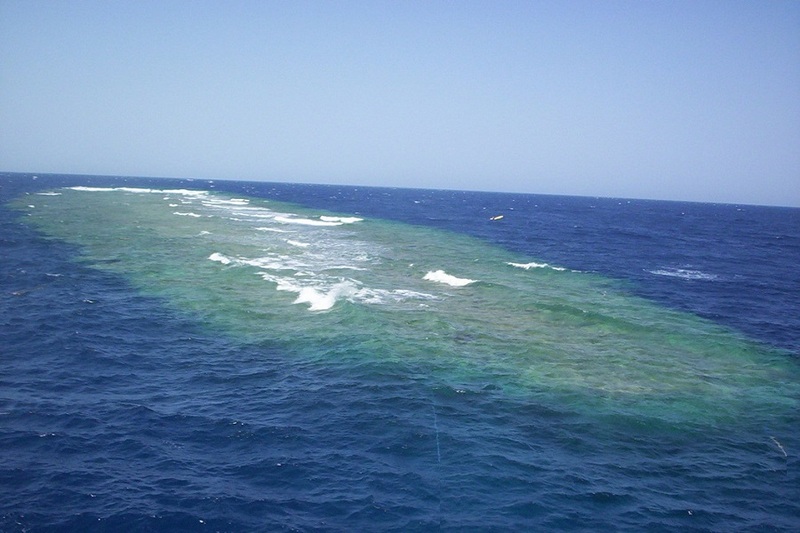 The area was designated a National Park by the Egyptian Environmental Affairs Agency in January 2003. It covers a total of some 5,000 square kilometres including several islands, a stretch of mangrove rich coast line and an extensive mountainous area inland which surround one of Egypt’s largest desert valleys. If you have time you can also visit the Roman town of Umm Kabu where the emeralds brought down from the mountains were prepared for transportation inland to the Nile from where they would be sent North towards Alexandria before being shipped across the Mediterranean to Rome. Kite surfing is easy to start and a great experience. Don’t be put off by video shots of professionals doing amazing stunts. The basics are much easier and you will be able to learn them in just a few days. You should be able to enjoy the sport from the very first day of your next holiday. Marsa Alm is a perfect location for it. Why? Relatively flat seas but with a high proportion of windy days each month and especially from March to May and from July to September. People who went on this trip last year during the festival, spent the whole day with dolphins, maybe this year you will be as lucky! Marsa Alam has one of the most important dolphin habitats in the Red Sea and the world. Samadai reef, more commonly known as “Dolphin House,” is the home to a large family of around sixty spinner dolphins. If that isn’t enough for you dolphin enthusiasts, you will be happy to learn that up to a hundred more spinners visit the reef on a regular basis with occasional visits by other dolphin species such as the bottlenose. The Samadai Dolphin House Snorkeling Trip includes: transportation by boat; lunch and drinks; National Park entry ticket and, snorkelling gear.